Tesla builds a tiny house? 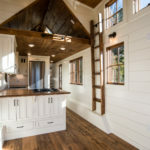 Home / Featured / Tesla builds a tiny house? In the ultimate form of marketing and shameless self-promotion Tesla introduced its Tesla Tiny House on August 13, 2017. The roughly 140 sq.ft. showplace on wheels is now touring Australia for the sole purpose of featuring their energy products, like solar panels and the Powerwall. For those who may live under a rock, Tesla was founded in 2003, and specializes in electric cars, lithium-ion battery energy storage, and, residential solar panels. 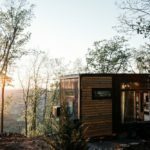 The tiny house is being toted around the country by a Tesla X, which is a bit of an SUV crossover, in an effort to show the public a full implementation of renewable energy generation, storage and use renewable energy for their home. To be perfectly honest, the tiny house is not your typical tiny house. 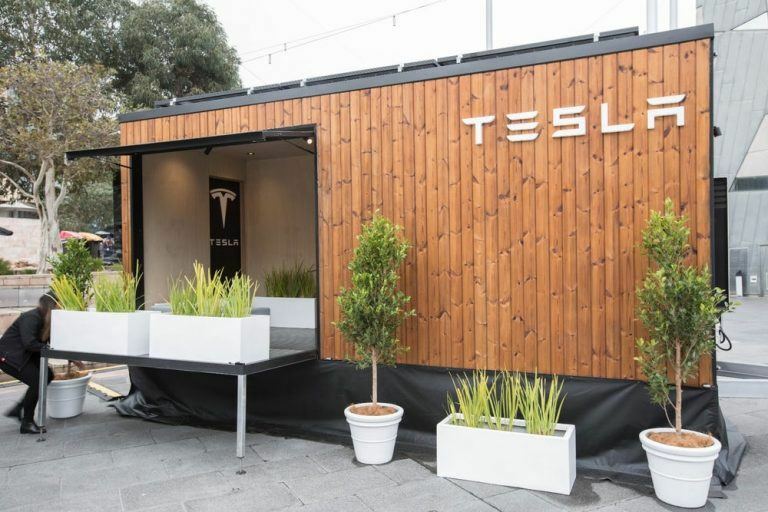 In fact, it should be called the Tesla Mobile Studio as it really just presents itself as a mobile design studio and configurator to help home owners design a solar plus energy storage system for their home. It is marketing brilliance indeed. However, the name tiny house is a bit misleading. Let’s not allow us to gloss over the impact Tesla technology could have on the modern tiny house movement. Imagine living in a home that is 100% powered by renewable energy with a small solar installation. The house has a mobile design that calculates how much clean energy your home can generate from the sun using the installed solar panels and then storing up in the Powerwall to use both day and night. All of this to be monitored and even controlled by the Tesla app. So why Australia you may ask when the United States seems to be so hungry for smart and affordable alternative energy? Turns out Australia has the world’s highest per capita penetration of rooftop solar with 15% of households using solar for a total of 1.5 million households across the country. The US doesn’t even compare. Back to the actual tiny house though. Forgive Tesla for inaccurately describing what the structure is. Instead focus on what they are trying to do. In a real world scenario they are showing what is possible with their retail applications. Imagine if more solar companies, rain harvesting companies, wind energy companies, etc. created something similar. Seeing a product in use is far more convincing than just pontificating on its actual application? Kudos to Tesla for literally taking the “power to the people.” Oh, it also helps that the tiny house is quite attractive in and of itself! What do you think about Tesla’s Tiny House? Do you think it is a solid mix of marketing and education or just another lateral motion in Elon Musk’s Sunday afternoon playbook?